The Federal Board of Revenue (FBR) released details of the Advance Tax applicable on real estate builders and developers on August 24, 2016. These details also include information on how the new mechanism will work. Per the FBR, the authority concerned, such as the district officer (revenue), will collect 5% of the total tax liable on the builder or developer as Advance Tax (also referred to as withholding tax) at the time of project’s approval and before a No Objection Certificate (NOC) is issued for that particular project. 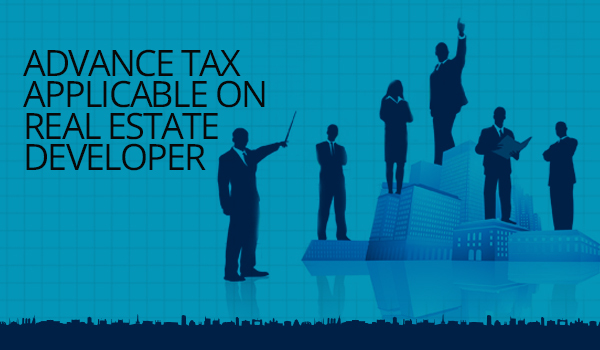 For the convenience of the developer, the Advance Tax can be paid in four equal instalments. Interestingly, this mechanism doesn’t entitle the land developers and builders to claim an adjustment or deduction of this tax under any other head they pay in the final tax regime during the year. The new rules have set the mode and mechanism for tax collection from builders and developers under section 7C and 7D. These rules also define the functions and responsibilities of the authorities approving, cancelling or suspending the project’s NOC. According to the new rules, after a builder gets approval for his project’s building plan and an NOC to sell, he will submit a copy of the approved building plan and evidence that he has made partial payment of the 5% advance tax to the Chief Commissioner. He also has to share details of the final tax liability calculated on the basis of his project’s covered area per the rates given in the First Schedule to the Ordinance’s Division VIIIA. After verifying that the information submitted by the developer is correct, the Chief Commissioner will issue the Advance Tax instalment schedule for the developer. The new rules bar developers from selling any unit of their project approved after July 1, 2016 unless he has an NOC for payment of the due taxes issued by the Chief Commissioner. FBR has also clarified that for an under construction project that is being stopped on court’s order or by any government agency, the payment of subsequent instalment will also remain suspended for as long as the stay order isn’t vacated. The builder (or real estate developer) who fails to pay three consecutive instalments within the due date, will receive a written notice by Commissioner. A copy of this notice will also be mailed to the Association of Builders and Developers (ABAD). If the Commissioner doesn’t receive a reply or a satisfactory answer, he will form a committee of three members, one of which will be from ABAD, and this committee will decide the further course of action against the developer. In case a project is disposed of during construction, both seller and buyer of the development in question will submit a joint application to the Chief Commissioner, who, after ensuring that the due taxes were paid by the seller, will issue a new NOC. The remaining installment of the Advance Tax will be paid by the buyer on the payment schedule issued earlier to the seller. FBR will consider the objections and suggestions received within 7 days of publication of these new rules. In other words, there might be some amendments in mechanism of collecting Advance Tax from real estate builders and developers.